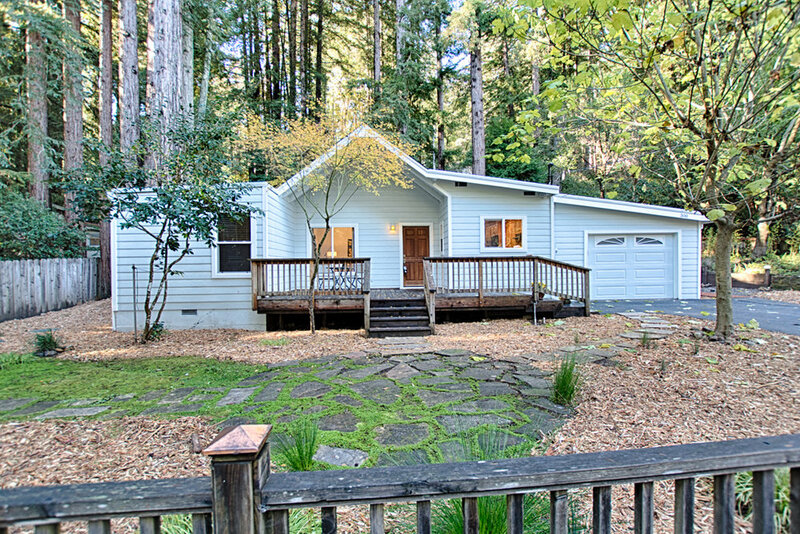 This enchanting home in the redwood forest is the perfect combination of quaint privacy and modern comfort. 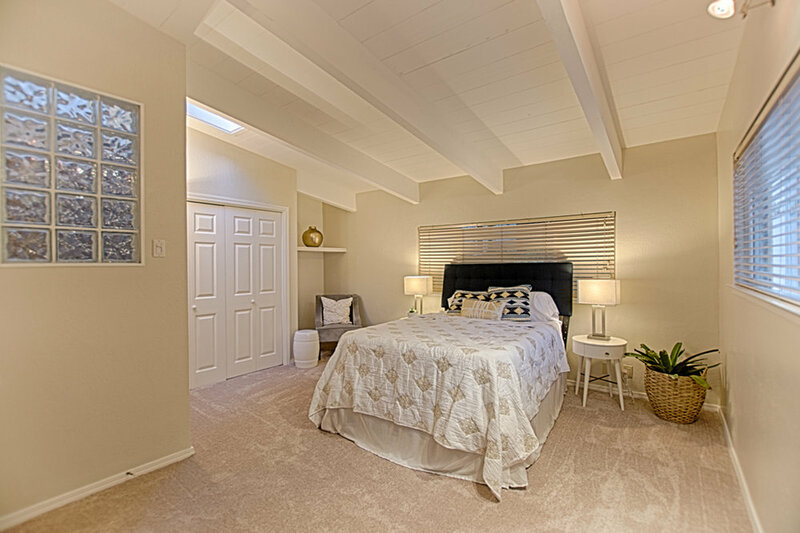 The living room instantly welcomes with recess lighting and several skylights in the vaulted ceiling allowing you to look up into the trees while you relax in your living room. The open floor plan flawlessly brings you into the remodeled kitchen, featuring dark granite countertops and access to the backyard through French doors. 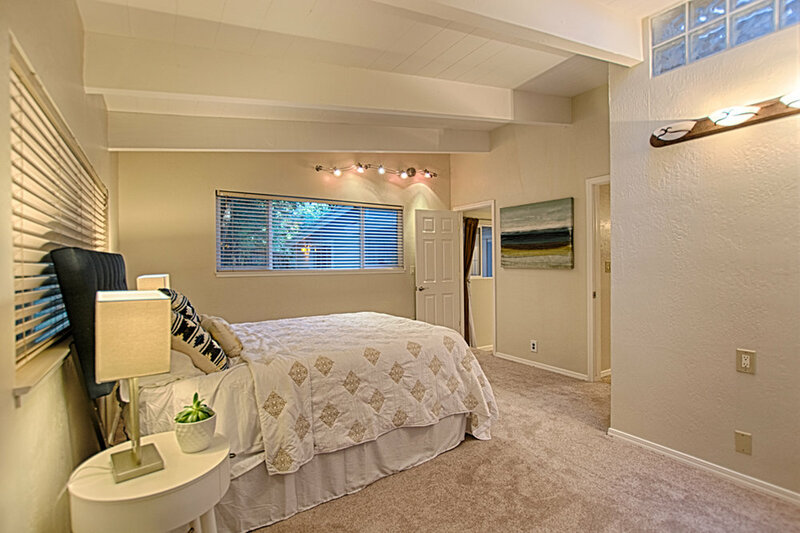 The master bedroom adds additional privacy, located in its own corner of the home. It delights with open beam ceilings and an abundance of windows allowing the sun to light the room naturally. 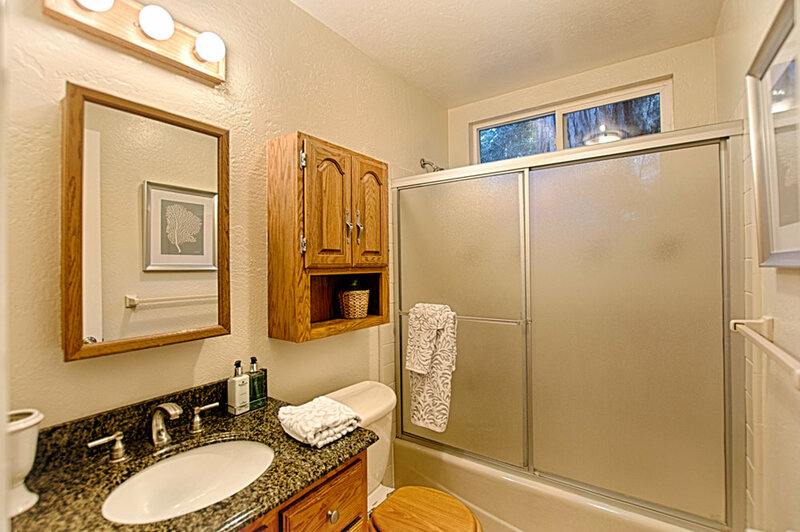 The master bathroom combines simplicity and classy functionality with a double sink vanity and a double wide bathtub. 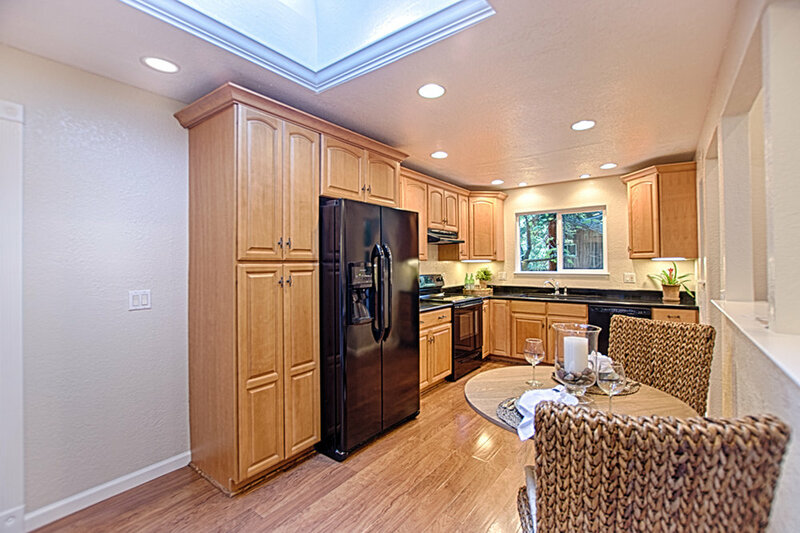 The garage holds a full laundry station with sink and counter space for your convenience and ease of use. Set back from the already quiet street, the spacious lot allows plenty of sunlight amongst the trees and will steal your heart with its charm. Located close to a beautiful and scenic commute to the Silicon Valley and just minutes out of town, this home is both secluded and accessible to anything you need.